Stand up paddling (“SUP”) is simply standing on a stable paddle board and your main equipment is a long lightweight paddle to enable you to propel the board and to steer it. The paddle also gives riders a better reach, longer strokes and better control ability. 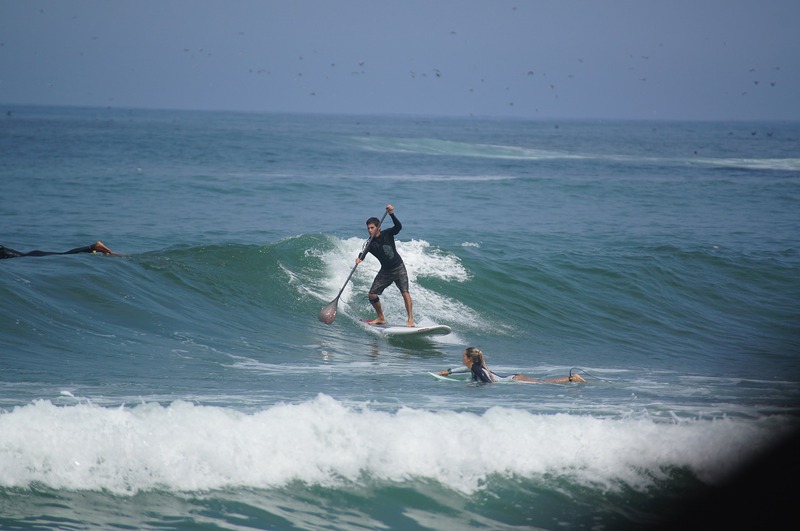 SUP is a sport that is enjoyed by people of all ages and sizes. It is a great cardio workout and a great low-impact fun workout. 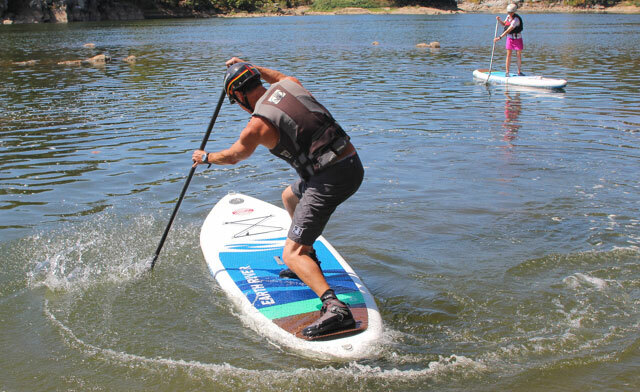 Once mastered stand up paddling sports enables riders to spin around, paddle on open waters, fish and paddle on rivers, as well as other flat water surfaces. You can also surf and whitewater ride with paddle boards on small to medium waves, but you will need a leash attached to your board, or relax and do sup yoga. 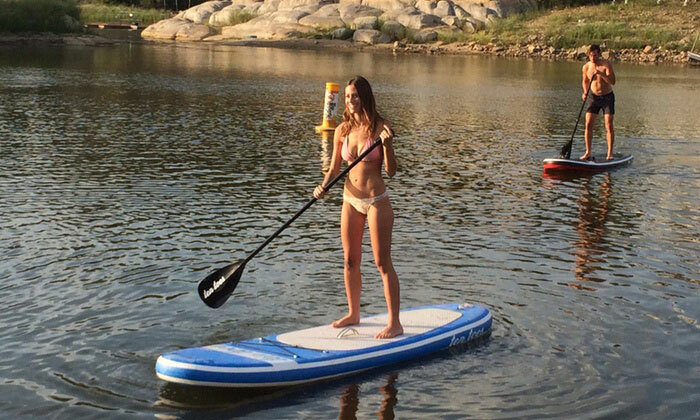 Given these proponents of a SUP, can you get the same results with inflatable standup paddle boards (“ISUP”)? The answer is yes, plus you get a lot more features. The math involved in a good inflatable river SUP is L x W x T = volume (length by width by thickness). 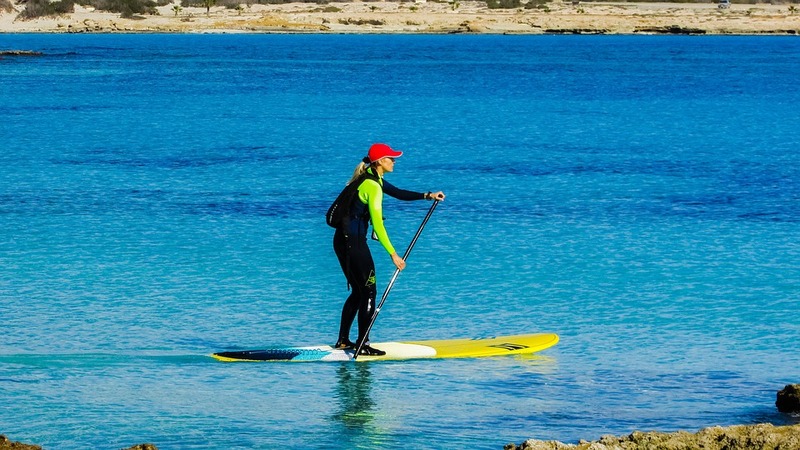 Stability in a paddle board is essential so that when you are standing on a board on a river water surface, you are nearly motionless, based on your body weight. 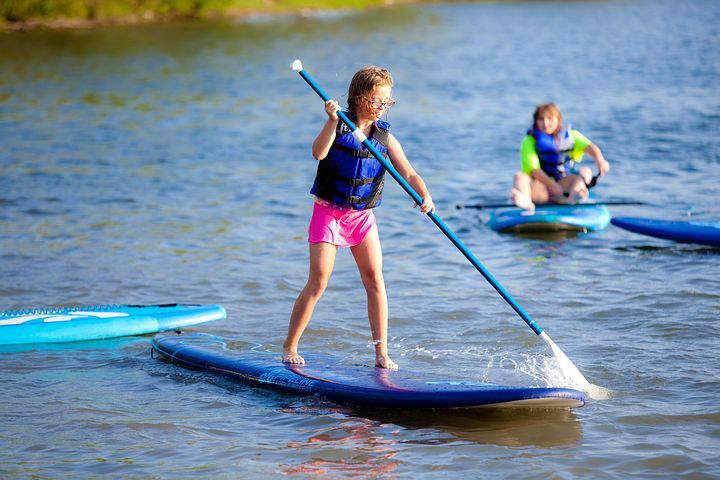 Inflatable paddle boards are available in varied widths, thicknesses, lengths and construction materials. 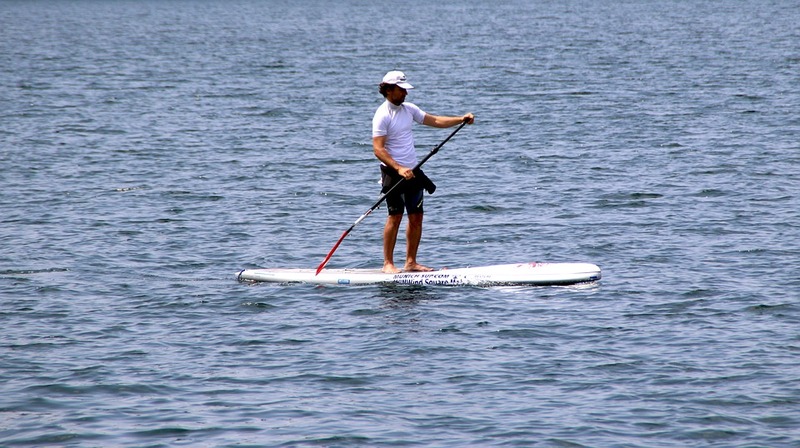 In order to enjoy paddle boarding you must know the type of water surface you will paddle on. A wide paddle board means stability, while a narrow board means speed. Thickness in a paddle board stands for weight and how much a board can support. Length plays a vital factor on water surfaces. A long board is faster and cruises straighter. A shorter paddle board enables riders to turn quicker, easier maneuverability and is faster, which is great for surfing or whitewater riding. Naturally, the appeal of inflatable river SUPs is its transport ability to be inflated and deflated quickly and easily. Nearly every water-sport manufacturer is producing ISUPs, as well as researching how to make them more comparable to their carbon/wood cousins. New technology has made ISUPs more inflatable to extremely high pressures due to advanced dropstitch technology and innovative multi-chamber or multi-layered skins. 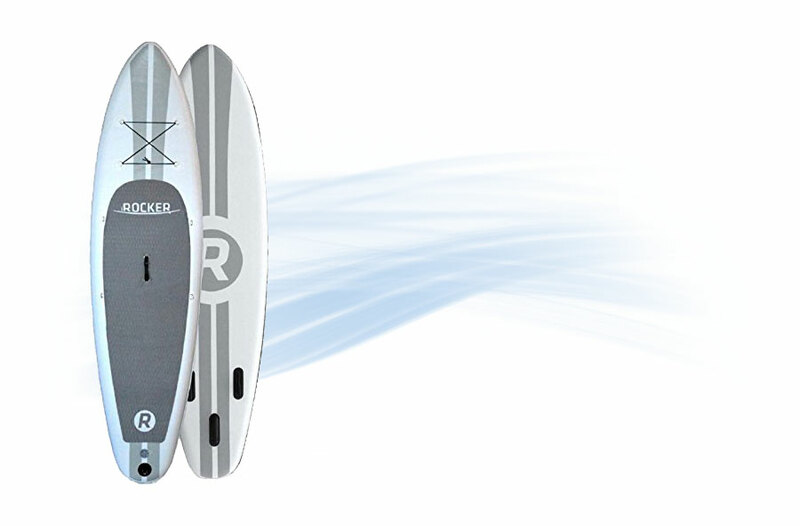 New inflatable river SUPs are making the board lighter, stronger and stiffer at lower pressure ratings. 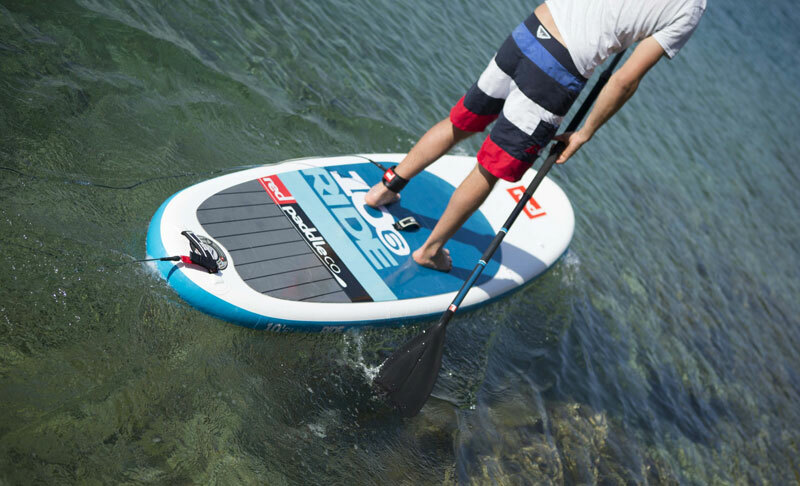 This means that paddle boarders can enjoy full rigidity without going to the full 25 psi. The other half of the inflatable river standup paddle boarding sport are the paddles. Paddles are designed with a shaft, blade and handle. The paddles are generally made out of fiberglass, aluminum, carbon, plastic, inflatable, wood or a combination of these. 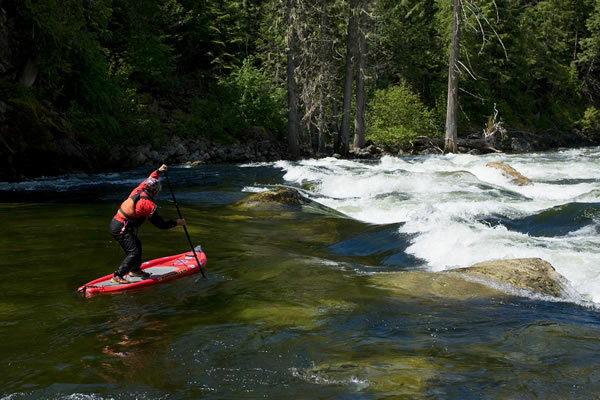 There are very durable inflatable paddles which are made for white water river runners, or paddle boarders. Paddle board paddle blades are available in a variety of shapes and features – banana peel shape, diamond shape or oars. 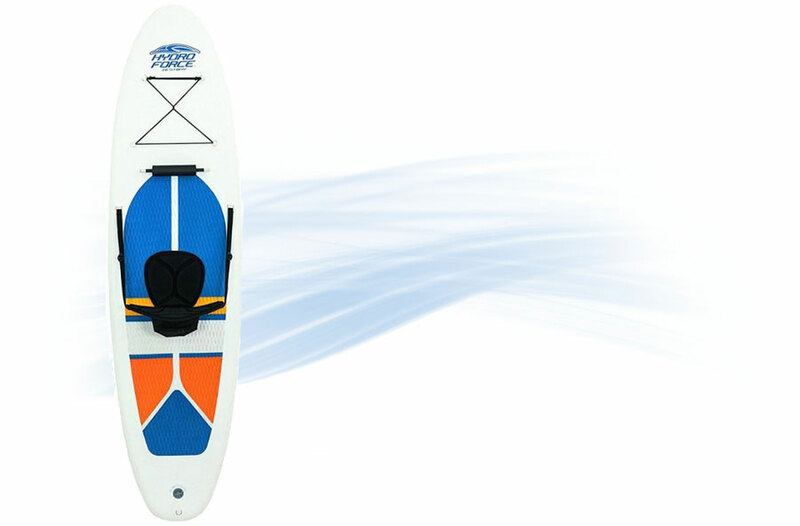 The paddle’s purpose is to giver riders paddling strength for all types of water surfaces. The length of an SUP’s paddle is also important. Paddle boards are available from 9 feet up to 14 feet in length and they are sized to accommodate the rider’s weight and skill level. 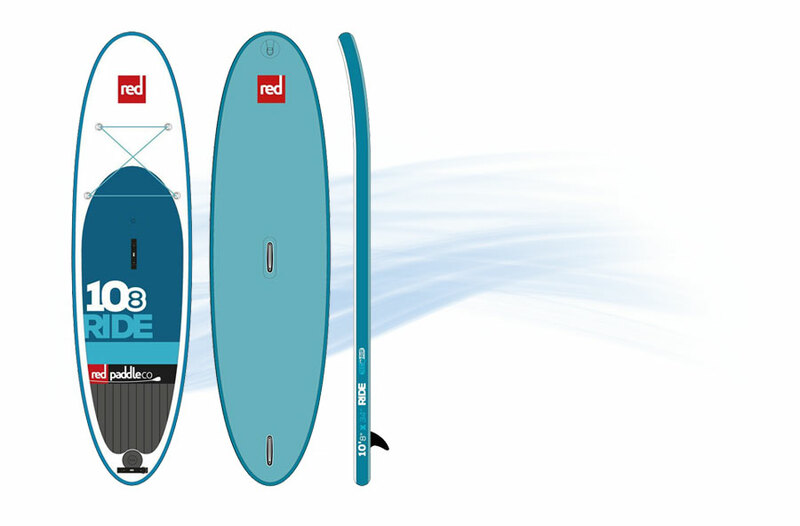 For a better length, choose a paddle that’s 6″ to 8″ taller than the board paddler. length: 9 ft., 10 ft 6 in. and 11 ft. 6 in. 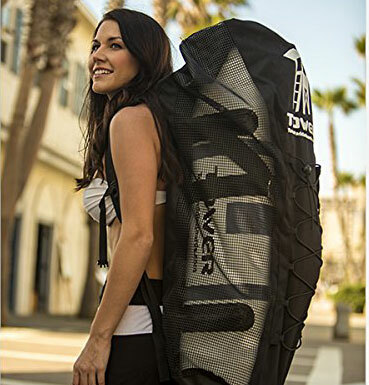 The strength of this Badfish SUPs stitch design and PVC polyester design stability, allows riders to perform well in surf, whitewater, river and flat water environments. It has a large deck pad that is comfortable beneath your feet and is cool beneath your knees when you kneel. The deck is rigid for stability with rails that help to lower the center of gravity. Badfish is only a few years old, but it has garnered the manufacturing and quality respect of surfers, kayakers and SUP officionados everywhere. 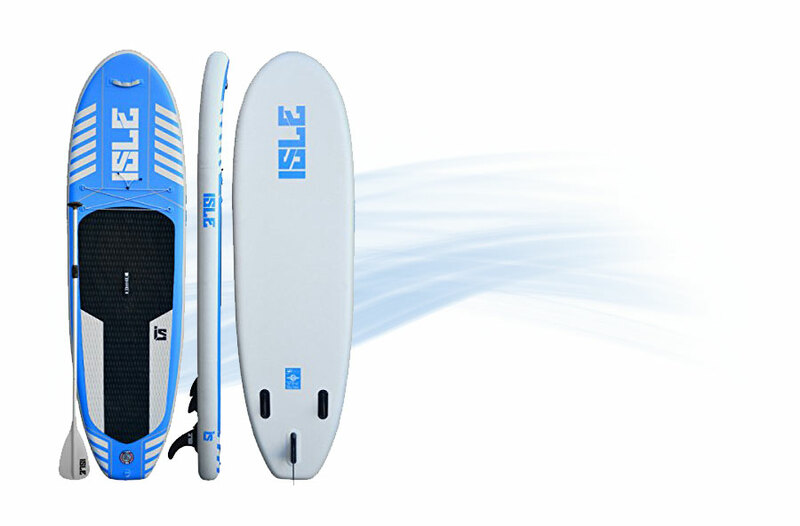 The ISLE Airtech is great for river runs, small waves and various types of flat water surfaces. It is made in layers, from high-density military grade PVC material, making it nearly impervious to damage. It is very lightweight, as well fast and easy on turns. 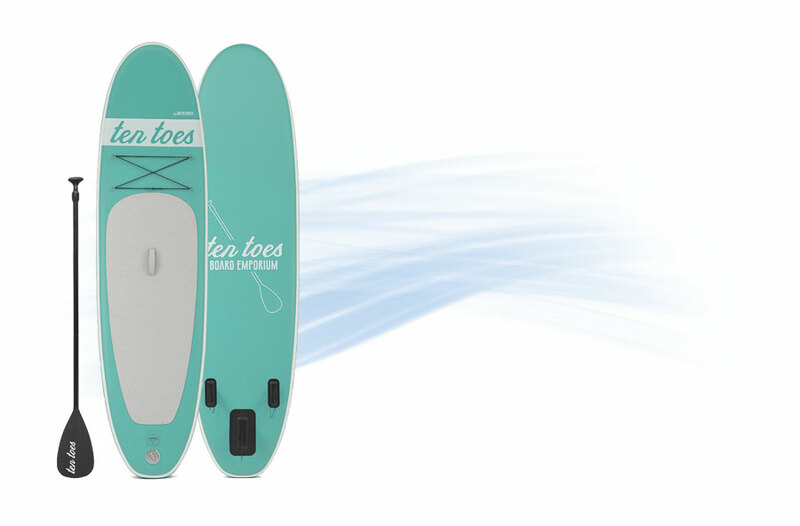 It features a stylish design and a versatile board shape for various water surfaces. 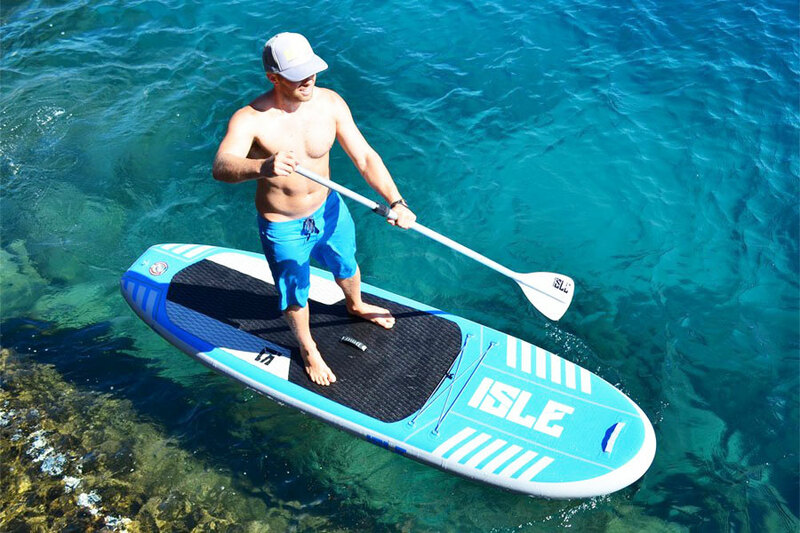 As one of the best inflatable river SUPs, the ISLE Airtech has designed a stiffer and better durable without any extra weight. Features the MSL fusion composite and airtight coating construction process for a lighter and stiffer board. Titan Pump is a revolutionary dual chamber inflatable paddle board pump that will inflate your board in half the time with half the effort, and still pump to 25PSI easily. 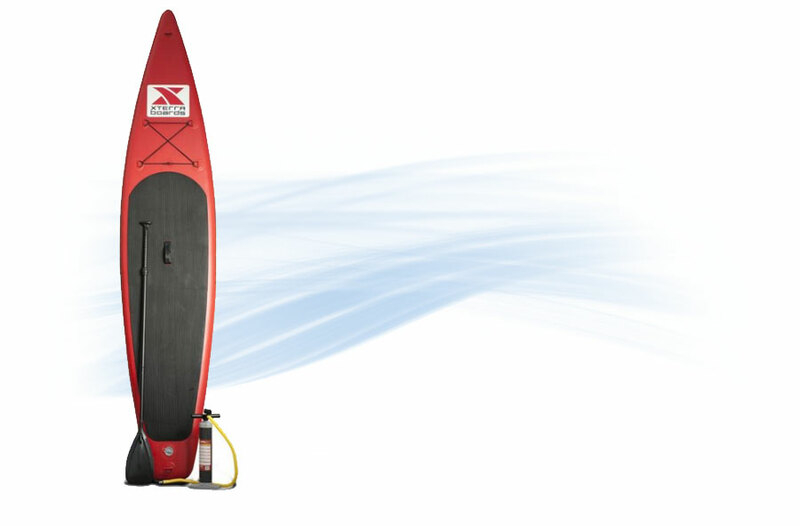 The Red Paddle Company RACE Stand Up Paddle Board is one of the best inflatable river SUP. It features a long and narrow inflatable board, which means that it glides through the water rapidly. 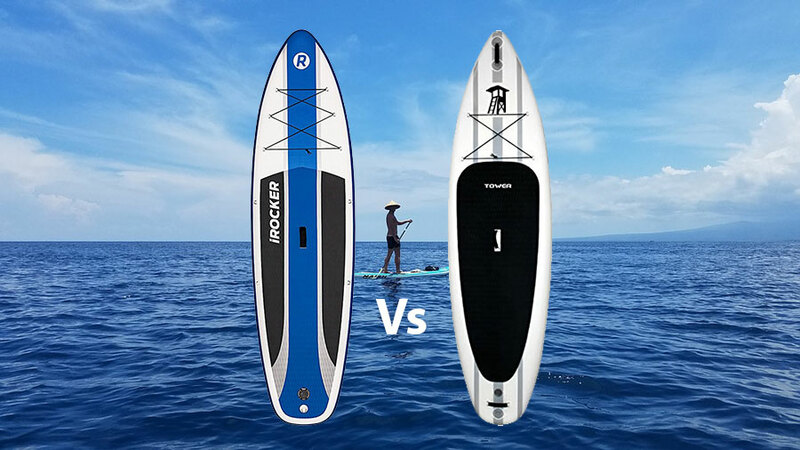 It is designed with a newly patented stiffening system, its rocker line is best for a faster ride, it has a double nose fin for tracking and a center fin for the right grip and less drag. The Earth River is the latest innovation. It is waterproof and is made of the highest grade 1000 denier military grade drop stitch. It features a double layered PVC shell and heavy duty reinforcement banding. It is a wide ISUP that is great on various water surfaces and it can travel large distances. It features great maneuverability with its submerged tail pivot turns. It is designed with high grade stainless steel D-Rings at the nose, tail and forward deck for leashes, cargo and towing.